While daily flossing and brushing will greatly help to prevent cavities, you can also use professionally applied sealants to keep cavities away. Sealants are a thin coating made from safe plastics that help to prevent bacterias from staying and growing on your teeth. This is especially helpful for those who are prone to cavities. How does a sealant help? Sealants prevent plaque from forming on your teeth. Plaque is formed once the bacterias from foods and drinks settle on your teeth. These bacterias begin eating away at the surface of your teeth (enamel) and this can create micro-holes in the area. These holes eventually grow larger which creates painful and damaging cavities. Sealants will stop these bacterias from ever touching your teeth! Sealants can be applied quickly and painlessly by your local dentist. Sealants are helpful for those who have recurring cavity problems or poor dental hygiene. Some children may also apply for sealants once their molars grow in place. Sealants are ideal for those wishing to save time and money on future cavity expenses. 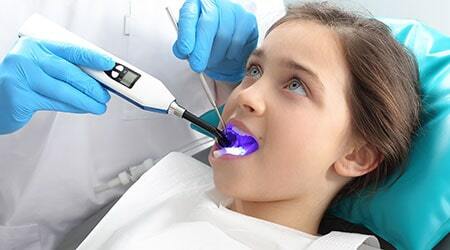 Ask your dentist about sealants to see if they are right for you.hildren to help prevent tooth decay. Good, helpful staff. I have been going here since elementary school and continue to now that I've graduated from college. Don't know what I'll do if I move away! Call us at 831-­757­-1038 or email us at info@tlcdentistry.com. Need to make a payment? Pay your bill online. Download and print our patient forms right from our website.